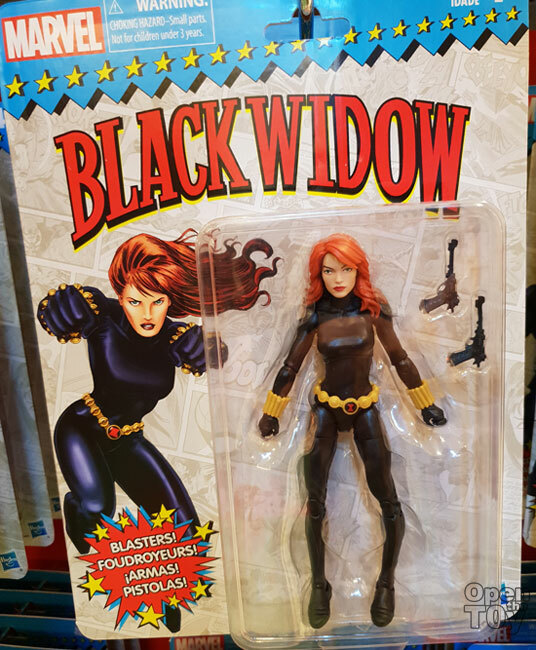 Back in the 1990s, Marvel figure characters were product by Toybiz and now Hasbro had made a Toybiz tribute Marvel Legends Retro figures and it is now in Singapore retail! 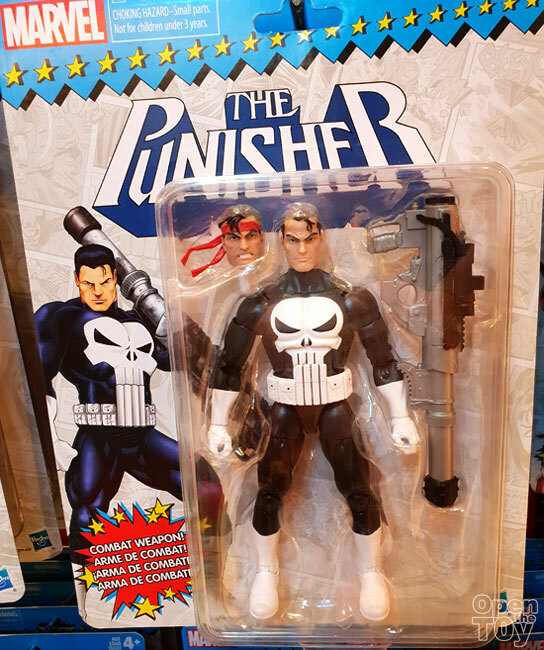 The new series are in 6" figures with multiple point of articulation. Best it come with retro card design! There are 6 of them that were selected. First is Spider-man. 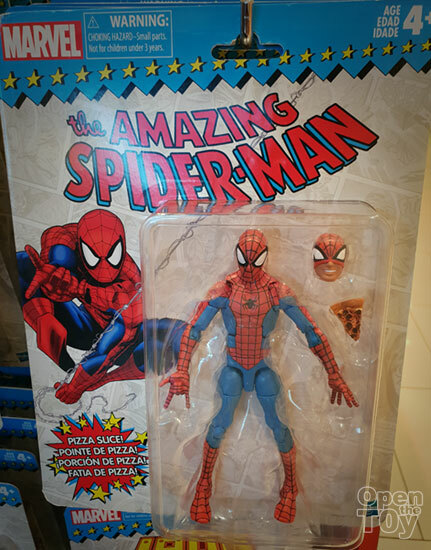 It comes with changeable face and Pizza. 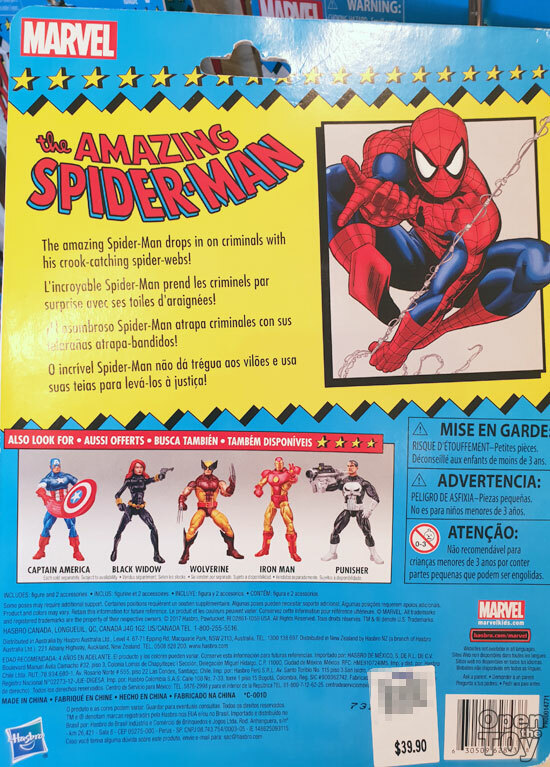 At the back of the card very much show the retro figures format with characters info and others in the line. Yes the price of each figure is at SGD $39.90 in retail. 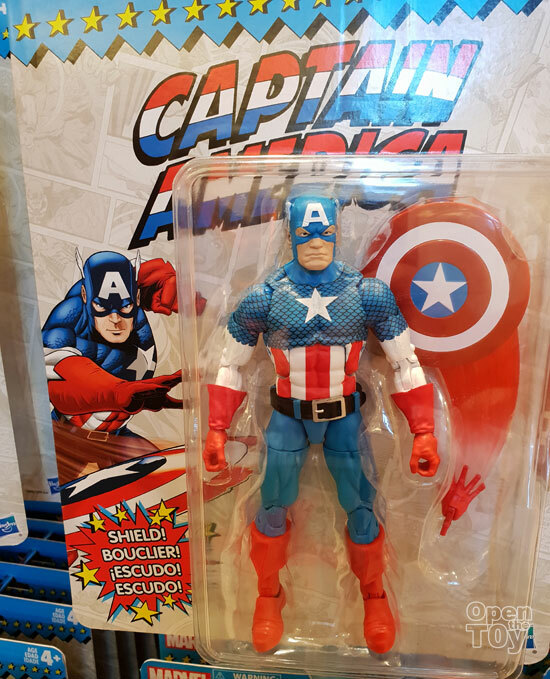 There's Vintage Captain America which look angry. 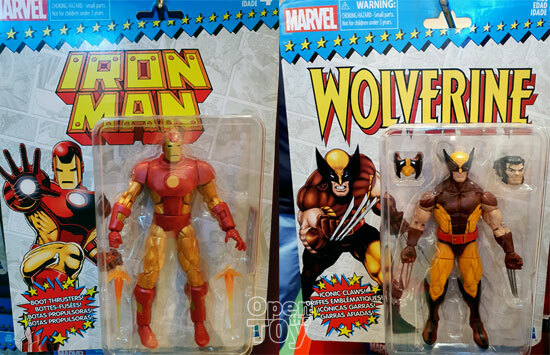 Vintage Ironman suit and Wolverine in his classic yellow and brown suit. These were spotted already at Singapore Retail. If you want to collect them Mint in card, this is a good set to do that.